We are proud to be among a select group of colleges authorized to participate in the Community College of the Air Force’s General Education Mobile (GEM) program and help Airmen earn an Associate in Applied Science degree. We are even more honored when servicemembers choose to continue their education in one of our online Air University Associate-to-Baccalaureate Cooperative (AU-ABC) programs. We award the maximum credit for your military training based on American Council on Education (ACE) recommendations. We also offer other options that let you demonstrate college-level learning, such as workplace training and equivalency tests (DANTES, CLEP). 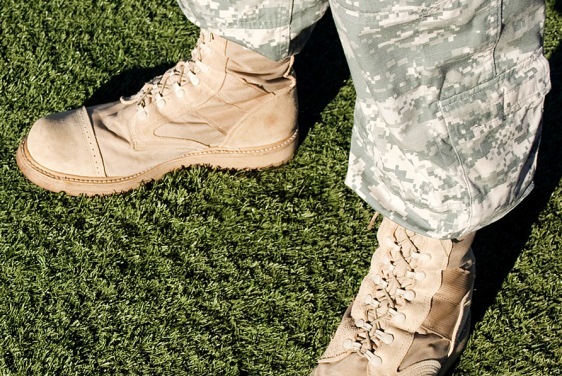 Maximize your military education benefits with our affordable tuition and fees. Through our Active Duty Tuition Discount and participation in the Post 9/11 Yellow Ribbon program, we’re committed to supporting those who served regardless of residency status. We cap our undergraduate tuition rate at $250/credit so it matches the DoD Tuition Assistance (TA) Program. Graduate students receive a 15% discount on their cost per credit. We guarantee at least 64 credits to transfer from CCAF and accept credit from hundreds of AFSC and military courses for specialized content. This could leave you with as few as 30 credits remaining in an AU-ABC degree programs. We are a public, nonprofit college that’s regionally accredited. U.S. News & World Report ranks us among the nation’s best online bachelor’s degrees and graduate business programs, and every undergraduate and master’s degree is available online. We offer 8 opportunities each year for you to start your coursework. Take one course per term to qualify as a part-time student or take two+ courses to be considered full-time. Below you’ll find a list of Granite State College courses that fulfill the general education requirements for your AAS degree at CCAF. Find your course and then visit our Course Schedule to see when it’s scheduled next. If you earned your Associate in Applied Science degree from the Community College of the Air Force (CCAF), take the next step: transfer to Granite State College and complete your bachelor’s degree. Below, we also feature a collection of helpful links to help you access direct direct support from the VA, DoD, and U.S. Department of Education. Military OneSource – provides resources and support at no cost to active duty, Guard, and reserve service members, and their families. Their 24-hour call center is staffed with subject-matter experts familiar with military life and who can provide information on a wide range of topics including child care, deployment, reunion and reintegration after combat, relationship, spouse employment and education, personal finances, and finding services in the local and military communities.